The most widely recongnized and the most popular scuba diving course in the world, the PADI Open Water Diver course gives you the essential skills of scuba over a short, 4-day itinerary. 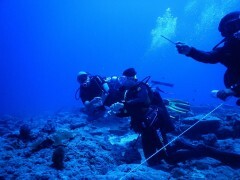 The course begins with classroom sessions to learn the theory of diving before proceeding with practical training in confined waters. When you're confident, you'll travel to dive spots in the Andaman Sea to undertake four open water dives, swimming down as deep as 60 feet under water. 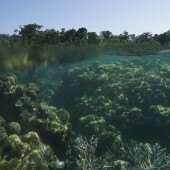 And where better to get your Open Water Diver training than in the gorgeous Andamans? At the dive spots around Neil Island, you'll explore fascinating reefs, teeming with colourful marine life, while learning the essential skills of diving. 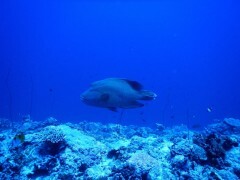 This PADI Open Water Diver course takes place at a dive centre on the Neil Island. Away from the crowd of tourists of the popular Havelock Island, you'll train with a certified dive instructor and explore the lesser known dive spots of the Andamans near the Neil Island. The island, covered by forest cover with tropical beaches at the coast, present the perfect backdrop for a scuba adventure. 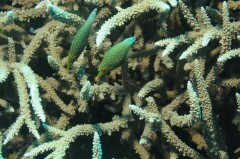 The dive spots around the island, populated by brightly-coloured reef fish, offer clear visibility with a pleasant water temperature. 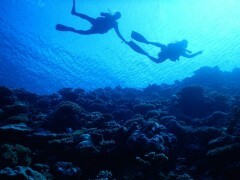 • Go as deep as 60 feet to explore tropical reefs and fish. • Spend four days in the tropical paradise of Neil Island. Travellers are required to follow all instructions of the dive instructor during the PADI Open Water Diver course in Andamans. For cancellations made 30 days or more before departure of the PADI Open Water Diver course in Andamans: 98% refund. 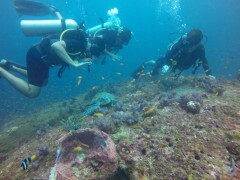 For cancellations made 15-29 days before departure of the PADI Open Water Diver course in Andamans: 50% refund. 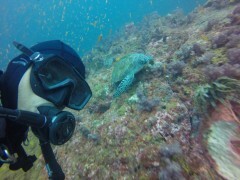 For cancellations made less than 15 days before departure of the PADI Open Water Diver course in Andamans: no refund. 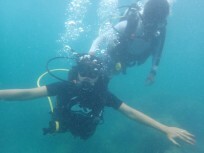 Travellers are required to complete a medical checklist before beginning the scuba course in Andamans. Divers suffering from asthma, heart conditions, diabetes and other pre-existing medical conditions cannot enrol without written clearance from a doctor. The tour operator reserves the right to change or cancel the itinerary of this PADI Open Water Diver course in the Andamans due to bad weather conditions to ensure maximum safety of divers and staff. No pick-up for this PADI Open Water Diver scuba course at Neil Island. No drop-off for this PADI Open Water Diver scuba course at Neil Island. Grab your breakfast and head out for a fun session. You'll be putting your dive gear on and entering the water for a day of practical training. You'll wear your gear and practice essential skills with your dive instructor in the confined, shallow water. When it's over, you'll have the rest of the day to do as you please. Day 3 of PADI OWD: 2 open water dives! More confident in your scuba skills, today, you'll take a boat ride to a few dive spots in the Andaman Sea. You'll complete two open water dives, when you'll get to practice your skills and explore the corals while swimming with the fishes. When the day is over, you'll return to the dive centre to log your progress. After that, the day is yours to spend as you please. 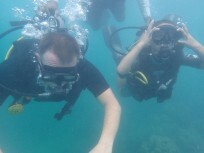 Day 4 of PADI OWD: 2 open water dives! 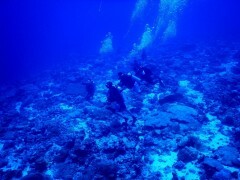 The final day of the PADI Open Water Diver course is set aside for the deeper dives. 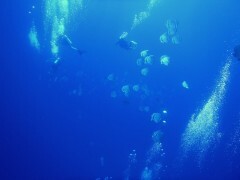 Once again, you'll head out to dive spots in the Andaman Sea, swimming as deep as 60 feet under the water. The course ends with a final exam. If you've completed your tasks successfully, you will be certified as a PADI Open Water Diver. Your trip ends here. You will have to report to the tour operator's dive shop, at the SeaShell Resort, near the Bharatpur Beach on Neil Island.